More often than not, the traditional pen and paper method for hiring your employees is lengthy and thus it is on the verge of extinction. This is probably why posting jobs online is gaining the ground these days. Unfortunately, mere the online job posting is not everything especially if you are on the lookout to save your time and money. That's because you will have to use different apps like Google forms for making the questionnaires and take the answers, evaluate them in the spreadsheet and then will have to send them emails by hand which eats up a lot of time. Moreover, all of these tasks are also prone to contain errors due to manual intervention. But don't fret out! 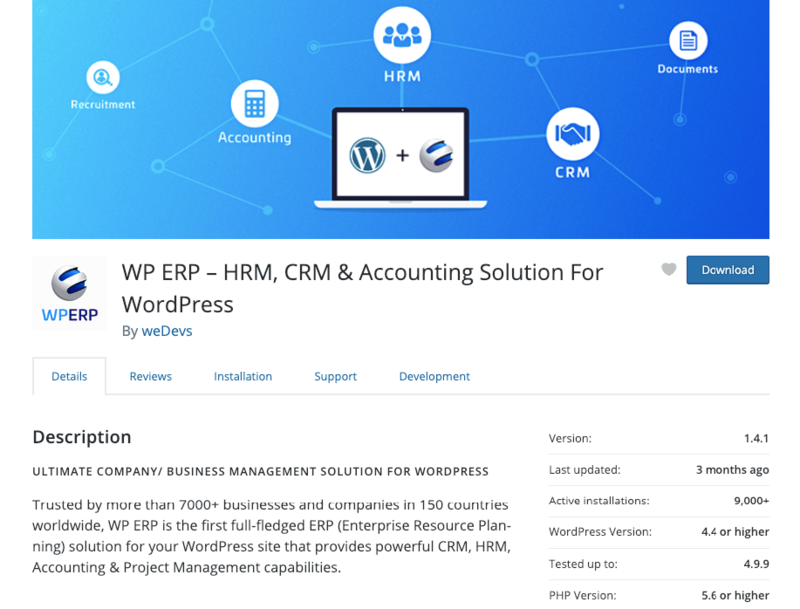 Because this process can be made automated with the help of a WordPress Job Posting Plugin which is really useful to save your time and money and increase efficiency. Why Should You Consider a Recruitment Software to Post Your Jobs? Now, we shall walk you through the reasons for which you should opt for a recruitment software system to post your jobs online. At least 84% of organizations are currently using social media for recruitment and 9% of those who don’t use it yet are planning to use it. Mere creating and posting a job on your WordPress website is not enough! You need to reach your target group with this job post so that it gets exposed to the qualified candidates as much as it can. You need to share this post to the appropriate groups of Facebook, LinkedIn, and Twitter. As you can see, 60% employees dislike to fill up a long application process and consequently, they quit. 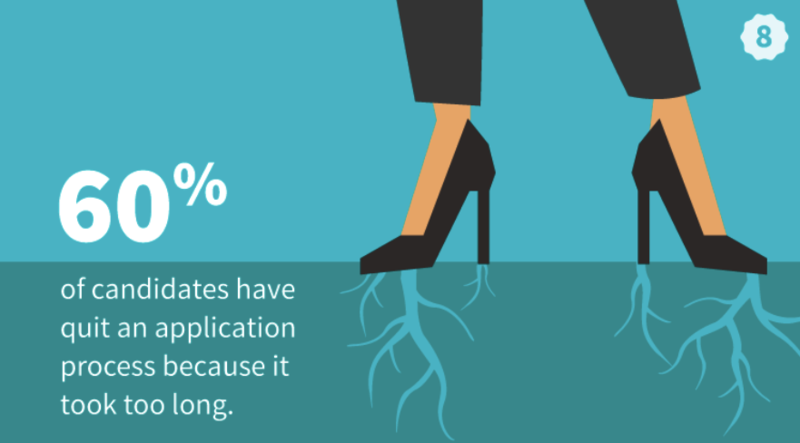 This is where an employee solution will help you keep the application shorter. If there are automated job management solutions out there, why would you recruit your employees manually? Say “Bye Bye” to the traditional method that heaps up a stack of application files and folders and say ‘Welcome‘ to the modern automated hiring software solutions. 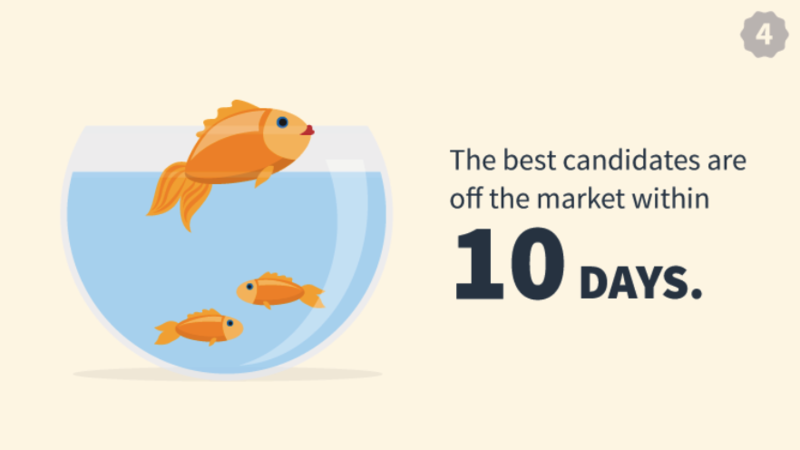 The best candidates depart from the market within 10 days! So, it would be wise to keep your hiring process and time frame as precise as possible. Selecting candidates for a certain job often requires a face to face interview where the skill of a candidate is tested through verbal communication. But prior to that shortlisting through online screening test can lessen the hassle significantly. 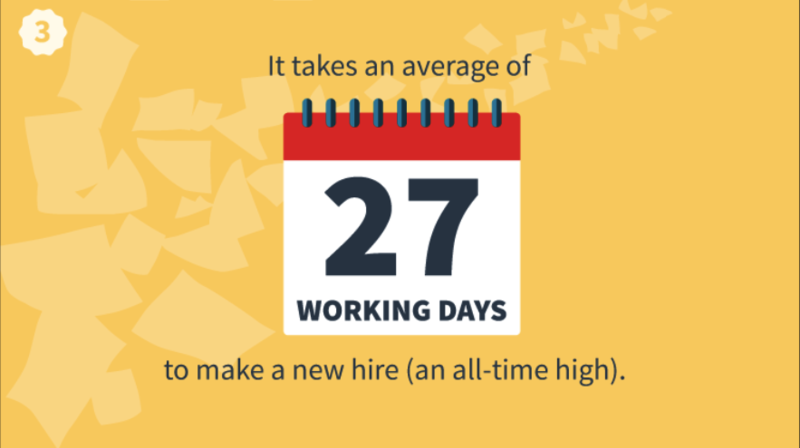 As you can see here it takes 27 working days to make a new hire and you can minimize this time frame with a staffing software solution. Most if not all the time, you will get candidates who are of similar quality and you will have to select only one candidate due to the lack of enough vacancy. With a job post application, you will be able to save all the application of the candidates in the job solution's repository. However, you can later use this pool of saved candidate list and call them in for the interview at the emergency vacancy time. Using online recruitment solution definitely creates a positive impression on candidates. 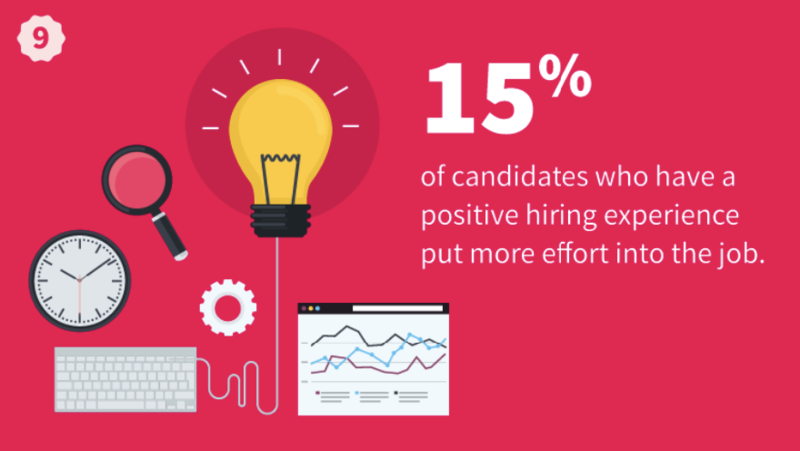 As 15% of those employees put more effort into the job, you should employ a recruitment process now. Throughout the recruitment process, you will need to communicate with the candidates with emails. And this is pretty exhausting because most of the time you will have to send the same email over and over again manually. With a hiring software you can create a workflow to send emails for a particular action. This saves your time greatly and lets you enjoy the pastimes for you. See? How bewildering the fact is! 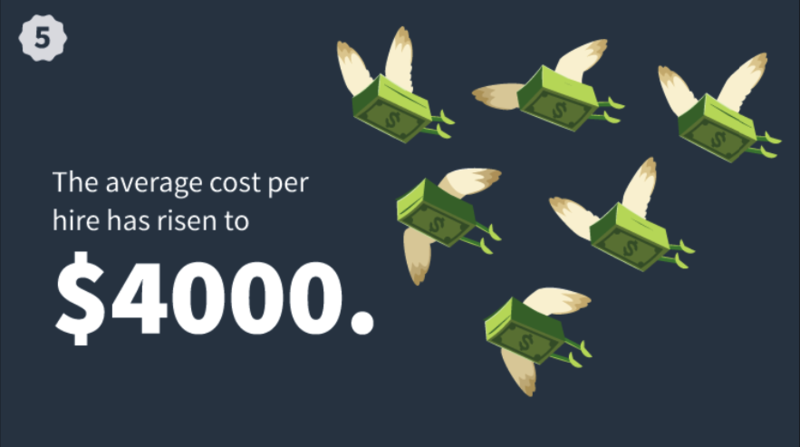 Do you want to get suffocated by this huge cost of hiring? Of course not, isn't it? If you are struggling to check this high cost of recruitment per hire then it is the high time to deploy a job posting software solution. With the right hiring system, you can use the data like time and money taken to hire employees for general and specific positions and can measure your recruitment performance. This way you can take the necessary steps to control the performance quality. The ideas from the people across your organization are what shapes the future of your business. The ideas from your employees will allow you to gain a competitive advantage for your business. So, people with much innovative knowledge is a must-have for your business. With using an online recruitment software you are not just automating your recruitment process but also showcasing your brand. 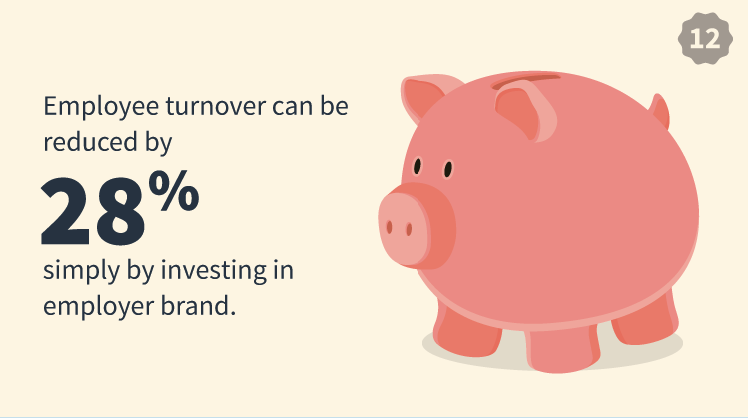 Besides, a high amount of employee turn over rate is not conducive to any organization. Because, every time an employee leaves, you need to hire a new one who requires to be trained for your specific business purpose. A recruitment automation software, on the other hand, enables you to steer clear of the high cost of hiring process and the time to train the new employees. If you are using a WordPress site, then you can go for the WordPress Job Post Plugin. 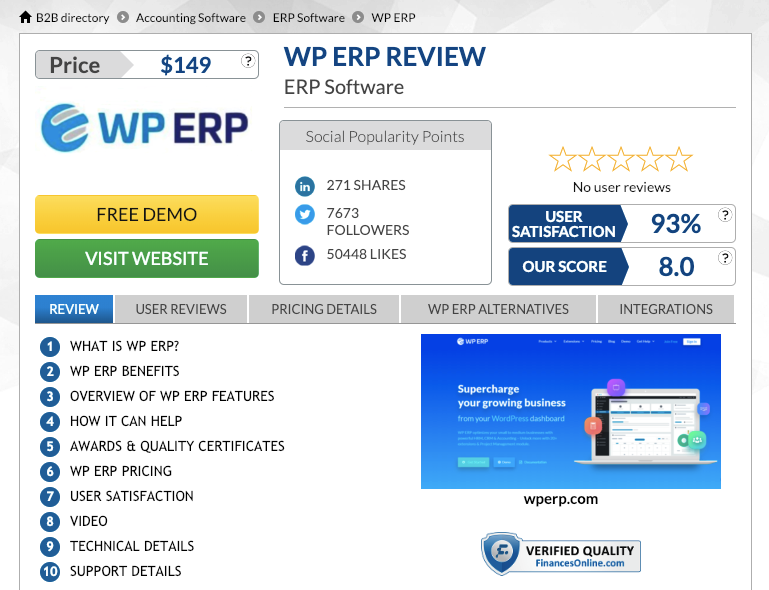 It's actually the extension of WP ERP which nailed the recognition from the well-known software reviewer company FinancesOnline. It comes with a 93% user satisfaction and 8.0 rating out of 10. If you visit the WordPress.org, you will find that it has over 9000 active install with a review of 4.5 out of 5. We have a detailed article of using this job solution software, give a read to it from here. Why Should You Go for the WordPress Job Post Plugin? In addition to a job manager solution, you are getting a free ERP solution for your business. Has user guide, documentation and video tutorials which are accessible via the internet. It's quite affordable as contrary to the other popular Job manager solutions. Staffing is not just the recruiting process but it is the foundation to get the most of your human resources. You need high performer employees rather than the average ones. With the WordPress job post plugin, you will be able to hire the employees more efficiently yet with minimal effort. Grab Your WordPress Job Post Plugin Right Away!